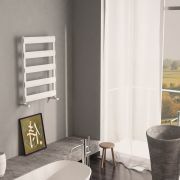 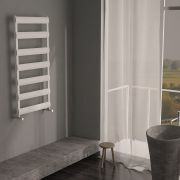 Gradus - Anthracite Hydronic Towel Warmer - 62.5" x 19.75"
Sloane - White Horizontal Single Flat-Panel Designer Radiator - 25" x 16.5"
Revive - White Horizontal Double-Panel Designer Radiator - 25" x 16.25"
Add a touch of sleek designer style to any bathroom, cloakroom or en-suite area with this stunning Gradus designer towel warmer. 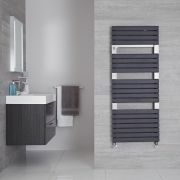 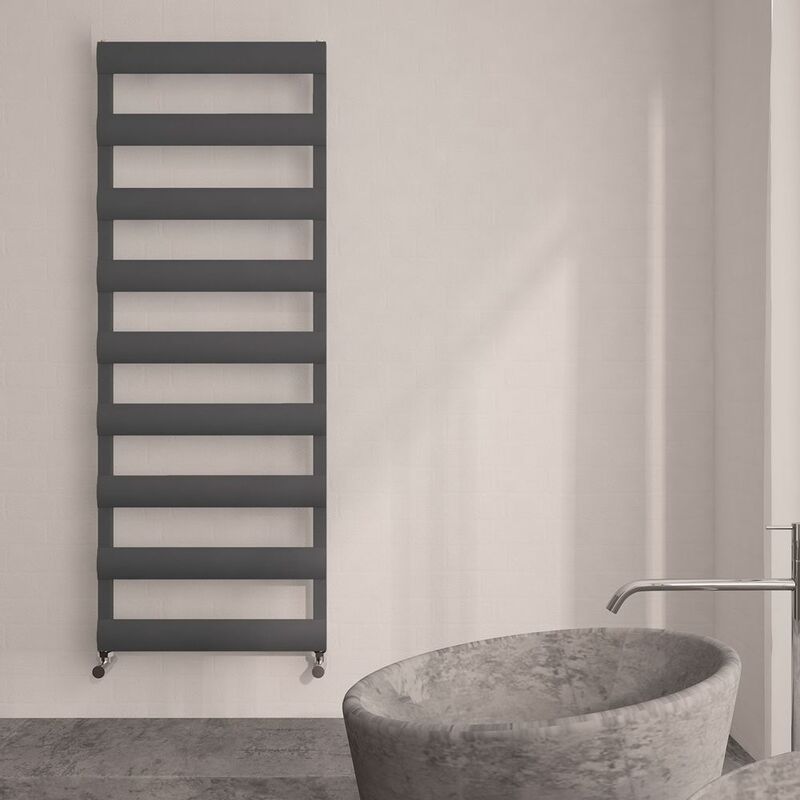 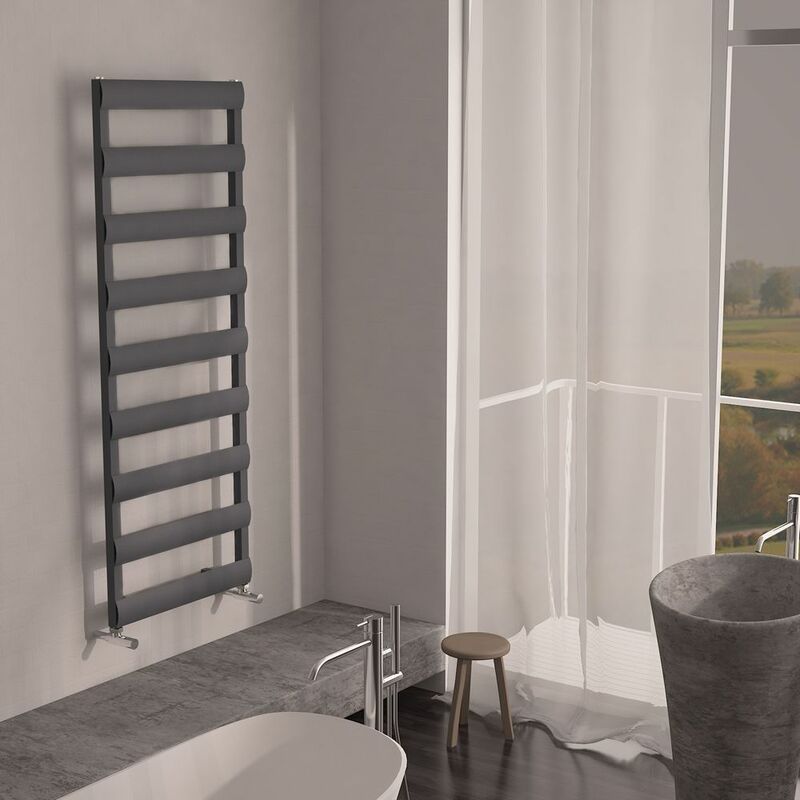 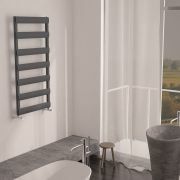 Incorporating a beautiful anthracite gray finish, the towel warmer features nine horizontal bars for the effective storage and heating of towels and other garments. 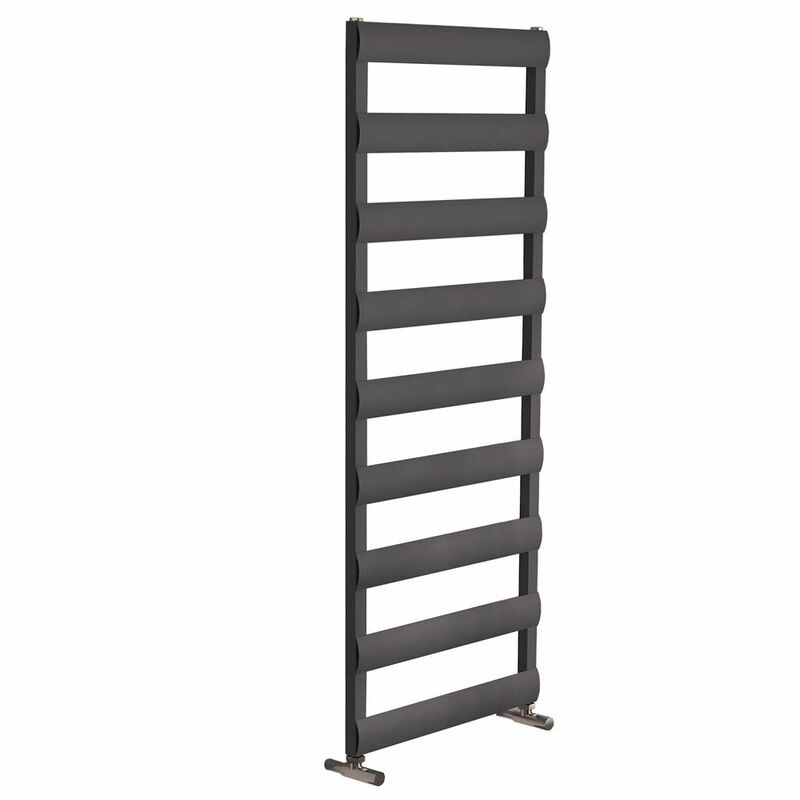 It is constructed from lightweight aluminum to offer immense durability, as well as style and practicality. 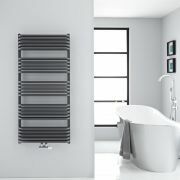 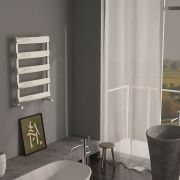 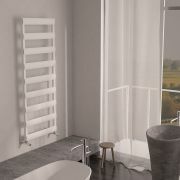 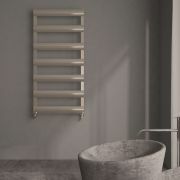 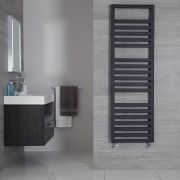 The towel warmer comes supplied with a choice of radiator valves. Select from manual angled valves and manual straight valves, or thermostatic angled valves. 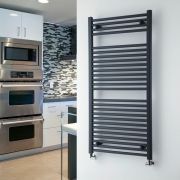 Loa - Hydronic Anthracite Flat Heated Towel Warmer - 47.25" x 23.5"
Arch - Anthracite Hydronic Heated Towel Warmer - 50" x 23.5"
Firenze - Anthracite Hydronic Designer Towel Warmer - 63" x 19.75"
Seina - Anthracite Hydronic Designer Towel Warmer - 53.5" x 21.75"
Gradus - Anthracite Hydronic Towel Warmer - 46.75" x 19.75"
Gradus - Brushed Chrome Hydronic Towel Warmer - 46.75" x 19.75"
Gradus - Brushed Chrome Hydronic Towel Warmer - 31" x 19.75"
Gradus - White Hydronic Towel Warmer - 46.75" x 19.75"
Gradus - White Hydronic Towel Warmer - 62.5" x 19.75"
Gradus - White Hydronic Towel Warmer - 31" x 19.75"
You're reviewing:Gradus - Anthracite Hydronic Towel Warmer - 62.5" x 19.75"